48" x 13.5" x 2" thick with 7 - 6" pots and 1 - 9" pot. Predrilled. This raft is shaped to make a curved display garden of marginal plants. It creates a transition from the pond interior to the pond's edge. 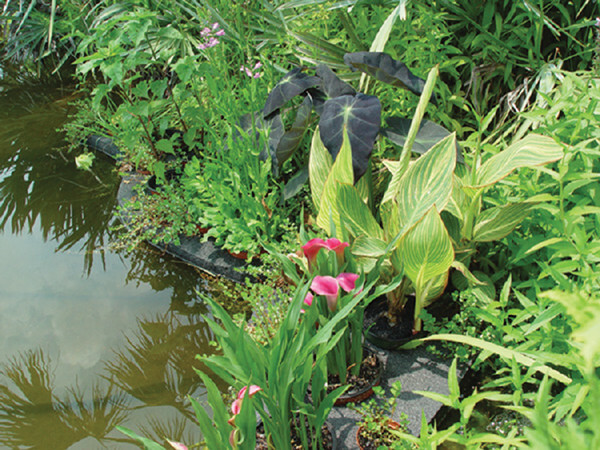 Transition Rafts are ideal for ponds with limited or no shallow water planting areas. Plant selection determined at time of order and based on availability.